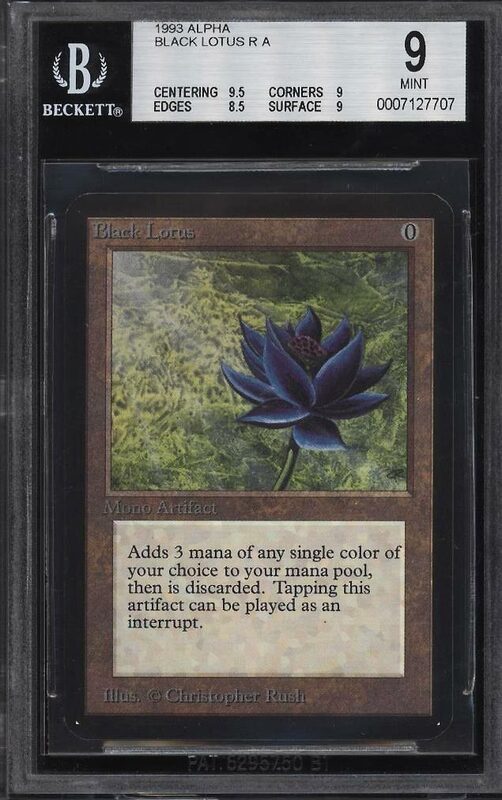 A jaw dropping Magic The Gathering Alpha Black Lotus on the auction block this month. The offered Beckett Mint 9 ranks as one of the finest examples we've had the pleasure of brokering in our long tenure and is rarely seen on the auction block with no reserve. With the combination of Alpha cards having black borders that are susceptible to chipping, and the fact that the cards are actively used in the game, high-grade examples are virtually impossible to locate. With a print run of just 1,100 of each rare card being produced, and the vast majority being played/damaged; this number doesn't even come close to satisfying the demand. When searching for a premier non-sport investment card, the MTG Alpha Black Lotus sits at the pinnacle. A truly incredible offering, and deserving of the finest portfolio. 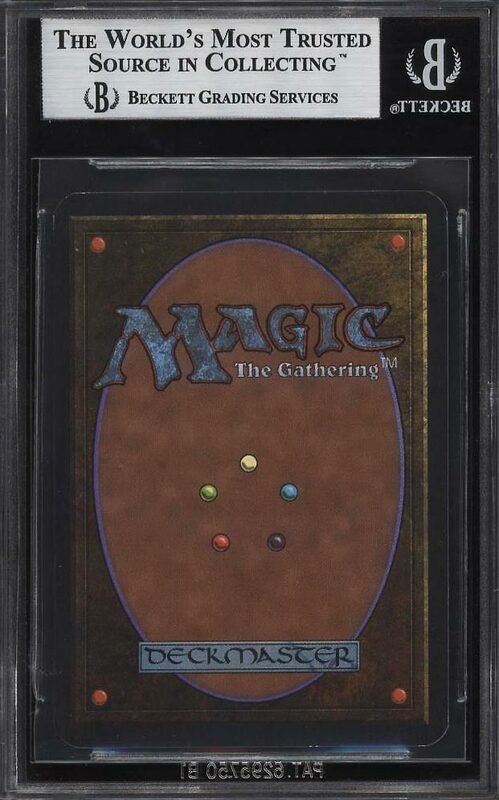 Part of an ultra impressive run of high-grade Magic The Gathering examples on the auction block this month. One of over 15,000 cards, lots and sets up for bid in our 7th Auction of 2018. Click on the link above to view the other PWCC auction lots.